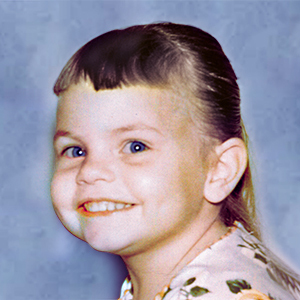 Lori Bakker, born Lori Beth Graham, was raised in a middle class church attending family in Phoenix, Arizona. A life of partying and drugs that had begun during her early teen years had culminated into five abortions by the age of 22. By 1985, Lori had survived a ten-year marriage plagued by abuse and domestic violence. On Easter Sunday, 1989, Lori made a life changing decision to attend Phoenix First Assembly of God. It was there that she accepted Jesus Christ as her personal Lord and Savior and stepped out on a journey of spiritual growth that began with the Master’s Commission discipleship program. Lori served almost a decade with Master’s Commission during its formative years. In 1991, Lori received her ministerial credentials. While faithfully attending and serving at Phoenix First Assembly, Lori participated in a vast range of ministry outreaches, gaining meaningful training and experience including the Master’s Commission Program. She actively volunteered with community outreaches that included inner-city bus ministry, nursing home ministry, youth ministry, prison ministry, and a unique women’s ministry dubbed Fashion Share. Lori enthusiastically engaged in the church’s noted musical productions, illustrated sermons and human videos. Her first steps on the international stage were realized through foreign mission trips with Master’s Commission to El Salvador and Mexico. In 1994, Lori began the organization that has become Mourning to Joy Ministry, an outreach that has helped women deal with the pain and trauma of post abortion as well as other critical issues facing women today. The ministry has been featured in noted publications, such as Charisma, for its cutting edge memorial services for the children lost through abortion and the healing of the women involved. By 1998, years of dedicated service to the Lord through the church had gained Lori an invitation to speak and minister at the Los Angeles International Church, also known as The Dream Center. It was there that Lori met Pastor Jim Bakker who was serving at the inner-city outreach shortly after his release from prison. After what has been described by witnesses as a “fairytale courtship,” Pastor Jim and Lori were joined in Holy marriage on September 4, 1998. Lori Graham Bakker has chronicled the romantic adventures of this spiritual Cinderella story in her book, “More Than I Could Ever Ask,” (released by Thomas Nelson Publishers in 2000). She was chosen to join with other exceptional Christian women in contributing to the Women of Destiny Bible (Thomas Nelson). National and international television audiences have embraced Lori through her appearances on programs that include Larry King Live, Good Morning America, The Today show, James Robison’s Life Today and a host of other notable broadcasts. In 2002 Lori and Pastor Jim were blessed by expanding their family with five beautiful children from the inner-city of Phoenix where she ministered for years while at Phoenix First Assembly and attending Master’s Commission. While ministering in Camp of Hope, Florida they were offered the opportunity to move to Branson, Missouri to begin The Jim Bakker Show. They moved the entire staff from Camp of Hope, Florida to Branson, Missouri in 2003. Sixteen years to the date that Pastor Jim made the last broadcast from PTL, he and Lori launched their new television ministry from Branson, Missouri. With the help of PTL Partners Jerry and Dee Crawford, the ministry staff converted a restaurant into a café and television studio calling it Studio City Café. 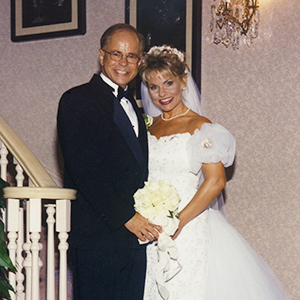 Together, Pastor Jim and Lori established The Jim Bakker Show and continue to host a one-hour, daily TV program that is shown throughout the United States and around the world. In January, 2008 they moved the ministry and the daily program to a new location called “Morningside” in Blue Eye, Missouri. God is continuing to bless this ministry as people are being saved and healed. 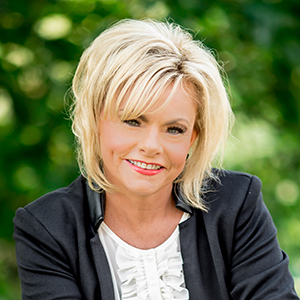 Today, Lori Graham Bakker speaks to audiences globally with the refreshing candor that has come to characterize her ministry; encouraging them to become the people of destiny God has called them to be.